When I first started learning Japanese, I read that learning how to speak Japanese and learning how to read Japanese was actually like learning two languages. But when it comes to learning how to read Japanese, what is the best approach? If you want to have a lot of fun while doing it, then you’ll want to know how to learn Japanese with manga. And I’ll show you some strategies on how to do it, and also why it’s actually a really great method for learning. I’ll also give you some additional resources that you can use to read Japanese manga for free, and also a few walkthroughs on it. One of the things that I learned about when I started studying Accelerate Learning Techniques, was what is known as “multi-sensory learning.” Basically what that means, is that we all have a separate memory for the things that we see, the things that we hear, and the things that we feel/do. In particular, our visual memories are incredibly powerful and can dramatically increase the rate at which you take in new information and make strong connections in your brain that help you to remember and recall new information. Since a manga’s story is primarily told through pictures, with dialog to assist it, the scenes make an incredibly strong impression on your memory. In fact, you could probably figure out a large amount of the plot by just looking at the pictures and not reading the words at all! Think about when you were a kid and you first started to read. For most of us, it was with big picture books that had a little bit of basic dialog, and a lot of interesting pictures. We learn visually like this when we are kids, and we never really get a way from it as we grow up. That’s why social media sites like Instagram (pictures) and YouTube (video) are so hugely popular. People love to take in new information with their eyes. Reason #1 is the use of pictures. So how do we use our natural learning methods to our advantage? Let’s take a look to see how manga can help. The normal way that most people learn Japanese is to focus on some individual words and make a sentence with them, OR to take a sentence and then deconstruct it to understand it. And this is totally fine as there’s nothing wrong with learning this way. It would make even more sense if you had been reading the whole chapter, but the breakdown of the scene is that Harima (the guy) is running away from Eri due to an extremely awkward moment that he wants to avoid, while Eri wants to stop him and talk about it. So when you see the scene in the manga, and understand the feeling and emotions behind it, then it becomes really easy to understand what Eri is yelling to try to get Harima to stop. You also get to see a situation where the word would actually be used in real life (or manga/anime) rather than just learning some theoretical knowledge of the language. Reason #2 is the use of dialog. When you learn Japanese from text books, they tend to give you a lot of sentences that illustrate the grammar rules that they just taught you. Unfortunately, you probably won’t use those sentences a lot in real life. I mean, how many times have you been hanging out with your buddies and turned to them to say “the apple is red”? But when you read manga, it is primarily composed of dialog. It other words, you are learning how people actually talk to one another. Now I understand that manga tends to be more on the informal side of the Japanese language, so you probably won’t repeat a lot of what you hear to the new people you meet in Japan, but a lot of people don’t just want to be able to talk to native Japanese people. A lot of people actually want to be able to read manga in Japanese, and watch anime in Japanese. If you are one of those people who would like to be able to do that, then you will absolutely benefit from learning Japanese through the use of manga since this is actually how a lot of the dialog is written. So, manga teaches you how Japanese people actually talk to one another, even if it’s mostly only in manga/anime. Reason #3 is the use of fun! I don’t know about you, but for me most Japanese textbooks tend to be a little on the dry side. In other words, you are there to study and any fun that you have while doing so is just a bonus. But that method of learning is missing out on a huge part of how humans naturally learn new things. When you enjoy what you are doing, it not only is a lot easier to continue doing it, but you actually want to come back for more, which helps with the self-discipline needed to learn a language day after day. 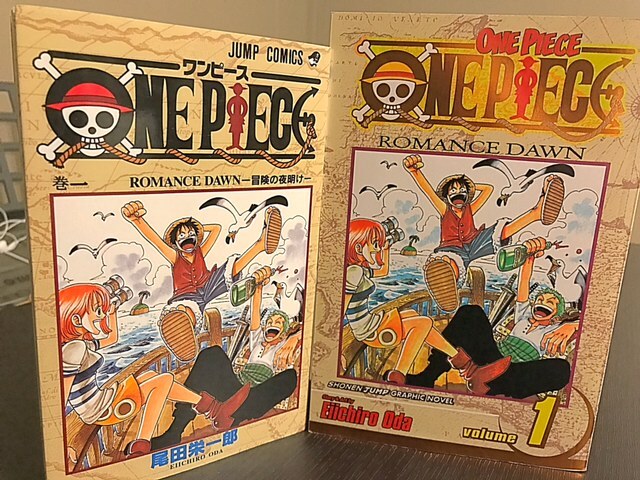 So, the trick is to pick a type of manga that you will enjoy and find interesting so that you will want to continue reading it, not only to learn more Japanese, but also to progress through the story. First of all, you will need to get a hold of actual Japanese manga, and preferably an easy one with furigana that shows the pronunciation of the kanji. There are several ways that you can do so, some are free and some you’ll have to pay. If you want a hard copy of the manga, then you can always buy one off of Amazon.com. Just be sure that you get the Japanese version of it. They usually take a few weeks to arrive as a lot of them have to be shipped over from Japan, but they are usually pretty inexpensive and worth the wait. Or if you’re in a bigger city, one of your local anime/bookstores might have what you’re looking for. The other option is to read it digitally online. I recommend that you check out Mangaz.com if you want to take that route. The good news is that you can get starting right away and for free. There is also an app for the phone if you like to read on your mobile device. Or any tool that you can use to look up new words and phrases that you are unfamiliar with. One of the tricky things with manga is that each genre has its own unique words that you will run into. So if you’re reading a mecha manga, then you’ll read a lot of words about robots. If you’re reading a ninja manga, then you’ll read a lot of jitsu. And if you’re reading a pirate manga, then you hear a lot about ships, captains, and treasure. So be sure that you have something that you can use to look up new words in general, and also words that are specific to the type of manga that you’ve chosen. Another option that you have would be to pick up both the Japanese version and the English version of it so that you can see how the professionals have decided to interpret it. This is a better way to understand sentences as a whole for the particular context that they are used in, but perhaps not as good for learning new individual words. Still, it’s a viable option and can be a great way to help. When you run into a new word that you’re unfamiliar with, you will want to be able to write it down, its kanji and meaning, and any other notes that you’ll need in order to understand it. That way when you encounter it again later on, if you don’t instantly remember what it means, you can just take a quick look at your cheat sheet instead of having to look it up all over again. This might take a little extra time at first if you run into a lot of new words, but it will be a huge time saver later on when you are re-reading it, or when you run into the same words again in later chapters. This is especially true for all the onomatopoeia (words the represent a sound/thing) that appear in manga. There are so many ones that it’s actually a little mind-blowing. And on top of that, a lot of mangaka (manga creators) will even create new ones for their own manga! ドキドキ (doki doki) = The sound of a heat beating quickly from nervousness or excitement. かぁぁぁ (kaaaa) = *Blush*. The extra ぁぁ are just added to make it longer. After you’ve got all those, it’s just a matter of putting in the time and reading the manga. I will say one thing about it though. If you’re just starting out, then that first chapter will be tough! You’ll be looking up lots of new words, and spending a lot of time translating/learning instead of just reading and enjoying. But don’t be discouraged, everything is hard before it is easy. If you are persistent enough to read through the first chapter, while taking the notes that you need to, then the next one will be easier. You will probably want to re-read it again sometime in the future, maybe the next day or the next week. Each time you do it will be easier than the last until you reach a point where you can read it without any problem. It sounds cliche, but the best way to learn how to read Japanese, is simply to read Japanese. So there you go! You now know why you should use manga to learn Japanese, and also how you can do it too. What’s interesting is that in the past, most people wanted to learn Japanese to either live in Japan or to do business with them. But with the huge rise in popularity of anime and manga in America in the last ten years or so, there is actually a pretty sizable group of people who’s main reason for learning Japanese is so that they can read the original Japanese manga, or watch the original Japanese anime. So why spend lots of time with textbooks or courses, when you can just go straight to the source? Either way, if you do decided to use manga to learn Japanese, you now have the tactics to do so. Let me know what you thought of this post with a comment below! If you liked it, then leave a like! If you have some thoughts on learning Japanese with manga, then share it with me down below! This article is really interesting. I learnt Japanese for a year using “boring” textbooks. 🙂 I agree that textbooks teach grammar and usually, it is not colloquial enough to be used in daily conversation. The idea of learning how to speak in a realistic way through manga is refreshing and the way to go. I wish I had done that when I was learning Japanese back then. Sadly, due to a lack of use (and practice), I have forgotten most of what I learnt. Hey Jude, I know what you mean. I also spent a lot of time using the recommended method of getting a good text book to learn Japanese. But there’s not too much that I can really remember from it. I think it’s a good idea to have one, as it can make for a really great reference source when you need to look a particular thing up, but as for actually learning how to use Japanese (just like riding a bike) there is really no substitution for just putting yourself into lots and lots of situations where you are actually using the language. Reading manga is one of those great situations! I can certainly appreciate the fact that a manga is a little too hard for most people starting out, so that’s why I think it should be used in conjunction with more intensive materials when you’re new to the game. But still, people who want to learn Japanese would benefit greatly by reading lots and lots of native manga every day! And there are plenty of novels that you could read instead of manga if that’s more you thing. I found it very hard to stop reading this! Very interesting point of view on using more of our senses to learn Japanese (or any language for that matter)…making it much easier to take in and recall later. I will be checking back to see what else I can learn from you! I enjoyed this very much! I feel that most people are really only aware of the traditional educational methods of learning a new language since we’re all pretty much familiar with taking a language class in school. The most common complaint I hear about that method is that it’s boring. It actually turns a lot of people off from studying. On the other hand, a lot of people really wish that they could read Japanese so that they can gain access to their favorite manga as soon as it is released in Japan, and not have to wait (potentially) years for it to get translated and then released in English. So why not learn Japanese the same way that you want to be able to use it, right? Even though you should still use some other learning methods alongside it, I don’t see any reasons why you can’t read manga AND learn Japanese at the same time. All I can say is, WOW!! I am of Caribbean descent and I speak 4 languages of which Japanese is not one of them, however, my nephew speaks Japanese. I think it is brilliant that you took the time to explain Manga and how it works. I will forward this article to my nephew, am sure he will get a kick out of it. He lived in Japan for about 2 yrs. I am not ready yet to embark on another language, but I do like Japenese and not only the language, but the culture and the food. I have visited Japan many times. Dang, speaking four different languages is impressive!!! I’m sure you’ve spent plenty of time and effort to get to where you are at with each one. That’s pretty awesome that your nephew got to live in Japan for two years! I think it’s a really great thing when people can live abroad and see how people in other parts of the world do things differently. Of course it’s always nice to then come home where everything is familiar again too! Wow, this was an interesting find. I’ve always wanted to learn the Japanese language but it always seemed daunting and overwhelming.This seems like a technique that could work for me. Is there a Japanese to English dictionary you could suggest or even better a free online resource? I’ve bookmarked your site. Glad I ran into it. Hey, there are lots of great Japanese to English dictionaries out there, and I’ve even written a post on a few different ones I own myself and that I think and pretty good. Read about them by clicking here! Towards the bottom of the post I also talk about a free online dictionary that is really awesome and I personally use everyday. You know I heard Tim Ferriss say the same things about learning a new language. He would learn Spanish from reading the One Piece manga. This is such a good tactic since you’re learning common informal conversation with pictures as guides. As opposed to something like a Japanese class in high school and you have to start by learning the structure in a very boring way. Haha, it is awesome that you mention Tim Ferriss because he is the exact person who I heard say that “manga teaches dialog” as opposed to most regular books that primarily use words to describe the setting and what actions are being taking by the characters. That’s one of the unique things about using manga to learn a language. The fact that it’s a book, but the material in is actually reflects the spoken part of the language, and not the written part (although it actually does that as well). Tim Ferriss is most well known for his book on business, The 4 Hour Work Week, but I actually enjoyed his next two books after that one more. One of them was on the body/health, but the other one was actually on accelerated learning techniques! It’s called The Four Hour Chef and it’s a fantastic book that I highly recommend for anyone who is looking to amplify their results when learning new skills. I wrote a review on it that you can check out by clicking here in case you are interested. I love the Japanese culture and this is brilliant tactic to learn the language! Thank you for such a great insight on the use of manga in my everyday life and expressions. Glad that I found your site and was directed here. Fantastic use and direction for anyone that would like to use this way for their creativity when studying. Yeah, I’m certainly not the first person to suggest learning Japanese through manga, but you don’t really see a lot of people talking about just how great it can be to help you learn. One of the really interesting things that works well together is to use the book Remember the Kanji in conjunction with manga that has furigana. That way you learn the meanings of kanji from RTK, and then you see the actual readings for them when they are used in a natural way in the manga. The furigana give the correct pronunciation of course. In my mind, it’s the perfect one-two punch combo! But I’ve never heard anyone recommend it. Perhaps I just need to get out more, haha! Haha, hey yeah you got it the first time with nihongo for Japanese! It’s true that Japan is one of safest countries in the entire world. It might even be #1. A lot of that comes from (like you said) the pride and behavior of the average citizen. The entire culture revolves around putting the group (other Japanese people) above one’s own needs, so the end result is actually a very civilized and great place. Have fun on your upcoming trip! And be sure to check out the beginners pages on this site to get started with learning the language! This is a really interesting article, and I agree that Japanese is hard! My girlfriend is half Japanese, and her family has taught me a lot about the culture, and I have done my own research as well. When I was a kid I read Shonen Jump, especially for One Piece and Yu-Gi-Oh!. I have great respect for those who are bilingual, and in my recent trip to Australia, I met someone who is fluent in English, Korean, Japanese and Chinese. I agree that learning a language through visual steps along with reading and saying the language is very helpful. Images and/or movies are very strong teachers for new languages. I think the best way to learn a new language would be to utilize all mediums, short of visiting the country. Hey Christopher, that’s pretty cool that your girlfriend is half-Japanese and you have been able to learn it from her and her family! I bet you’ve been able to learn a lot of natural, conversational Japanese that way. And you’re probably right about using all different mediums to learn a language. There’s really no need to limit your studies to just one particular approach. Changing it up will keep it from turning into a dull routine! This is a highly impressive and informative method! I love the idea of learning through reading Manga. I will be checking up on this website often. Keep up the great work! Hey Thanks Darcy! I think that learning Japanese through manga is a great way to make learning the language fun. It might just be me, but when I’m having fun doing something, I will stick with it even if it’s hard! And if you can stick with it when it comes to learning Japanese, then you are guaranteed to be successful. At that point it only becomes a matter of T-I-M-E before you master it. Unfortunately, most people who give up on Japanese would have realized success if they had been able to stay with it and push through the tough parts. But I can certainly understand the feelings that people experience. That’s why I’m always talking about methods that help people to learn Japanese in a way that is fun and fast! Hey Manasir, yeah it’s actually pretty interesting the relationship between the Japanese language and Spanish. I find that a lot of native Spanish speakers actually really enjoy things from Japan (like Anime and Manga) like many Americans do and so they learn Japanese to enjoy it. In fact, the book Japanese in MangaLand (a book that teaches you Japanese through manga) was actually written by a guy who’s first language was Spanish. The cool thing about learning a language through manga is that you can do it with any language. It might even be easier with a non-Asian language since you won’t have to learn a new alphabet to do so. But I like to show people how the techniques talked about on this blog can be specifically applied to the Japanese language since that’s the one that I personally used them on. I can honesty say I’ve never considered using manga or anime to learn Japanese, but you’ve offered some compelling points for it’s use. I liked how you demonstrated that textbook conversations are not very applicable in regular conversations, and that learning visually helps to retain the information. When I travel to foreign countries, I try to learn a few phrases of the language for basic communication. I’ll keep your site in mind when I make my way to Asia. Yeah, it’s not a method that is talked about a lot or even widely used for that matter. You could use it for any language really, but of course the majority of manga comes out of Japan, so it just seems like such a natural choice for Japanese. Very cool idea of learning with manga. Learning Japanese is pretty overwhelming, I am glad to have found your site. You lay things out very well and make it easy to understand. Using dialog to learn is definitely better than just saying a meaningless phrase as an example. I enjoyed the video you had at the end there. The whole elongated line thing is kind of funny to me. Yeah, learning Japanese dialog is definitely a great way to learn Japanese when you goal is to speak Japanese, watch Japanese anime, or read Japanese manga. If you’re goal was to read Japanese literature, then perhaps you would want to take a different route. But I fine that if you can speak a language pretty well, then it’s actually a simple matter to then pick up the more formal written part. Vice-versa doesn’t always work as well though, since being able to speak a language is also a matter of muscle memory. I heard the Chinese alphabet consists of 1000 characters compared to Americans that only have to learn 26 letters in the alphabet. Japanese and Chinese are similar so I imagine it is just as difficult to learn. It is said that their extensive alphabet system alone is the reason why they have higher IQs. Learning Japanese with Manga seem to resemble studying Spanish on Rosetta stone. I need to learn a new language someday. Hey Max, yeah it’s actually more like 3,000 characters that both the Chinese and Japanese use in their respective writing systems! Even though there is still more than that, the 3K mark it basically all that you would ever have to learn in order to be able to read at a native level. I actually wrote on five interesting facts about Kanji in this post if you’re interested in learning more. You know you actually make a pretty good point on it being similar to the learning approach that Rosetta Stone uses with pictures to illustrate the meanings of the words. The main difference being that I would absolutely suggest that you look up the English meanings of the words in the manga, whereas RS doesn’t provide translations at all. Simply love your article! I have always been fascinated with Japanese because of manga (Dragon Ball in particular). Without even knowing just by watching manga cartoons with English subtitles I had been learning some words in Japanese. I never gave it much thought, but now after reading your article I will definitely start putting more effort into it and see if at some point I might be able to have a simple basic conversation with some friends! Hey, thanks I’m glad you enjoyed it. I am also a pretty big fan of all things Dragon Ball, and Dragon Ball Z, although I never went any further than those two. I’ve heard good things about the newest one though, I believe it’s called Dragon Ball Super or something along those lines.